Inez & Vinoodh shoots Andreea Diaconu and Sasha Pivovarova for the Chloé Fall/Winter 2014/2015 Ad Campaign. Captured in a summery idyll whilst discovering the latest Chloé must haves including feral inspired furs, chiffon blouses and luxurious bags, newcomer Diaconu and Pivovarova are revealing the harmonious and youthful essence that represents the chic French fashion house on the dot. Framed by one of the hottest photographer duos on today’s fashion scene, the campaign’s couple starlets Inez & Vinoodh are already familiar with the brand after working alongside Chloé on several campaigns, one being last season’s caption starring model Julia Stegner and actress Lou Doillon, another charming landscape framing by the brilliant duo, which goes hand in hand with their fall/winter 2014/2014 campaign. 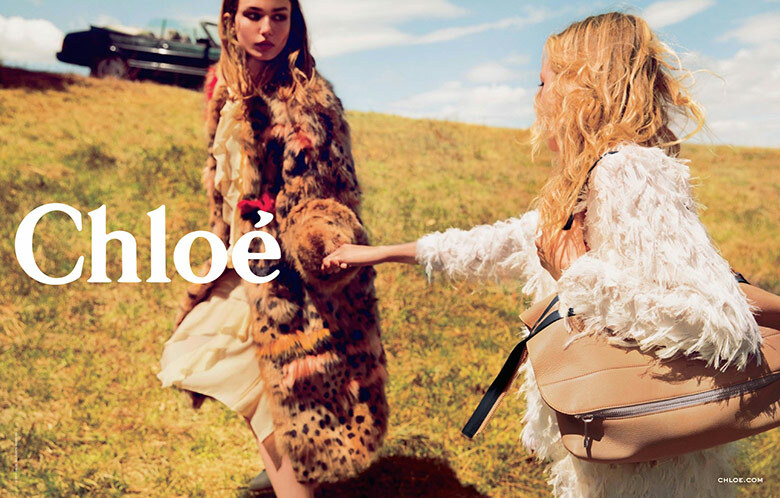 Andreea Diaconu & Sasha Pivovarova stars in Chloé Fall/Winter 2014/2015 Ad Campaign.